Advice on hosting your own wordpress site (I chose TSOHost). When I started Looking for the Postman (LftP), it was a WordPress.com blog. It was easy to use, quick, reliable and I didn’t initially see any reason to move. I was running other websites on a hosted server with a company called eukHost. My site was a music forum which wasn’t particularly active. have access to far more plug-ins meaning that your site could expand its functionality. 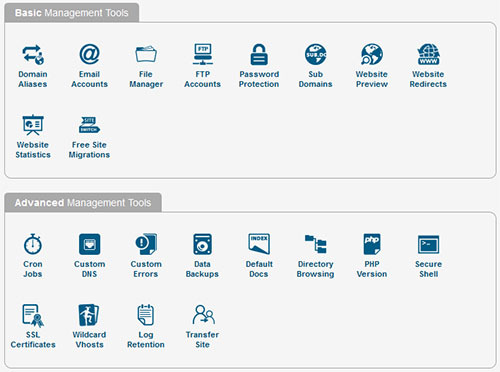 have complete control of your site’s contents. You could download files and rewrite code if needed. are able to fully modify your site’s theme. remove adverts, or put in your own. have your own website URL and emails too. are able to expand your site to include other non-Wordpress functionality. I migrated my site from WordPress hosting to my own. It wasn’t exactly straightforward because the native plugins don’t always have comparable ones for your own website. Still, I ploughed on and got the website up and running. The site ran like a dog. Very slow. If I was in the admin pages, it took a full minute to load a page. It was painful. I tried to open some dialogue with eukHost to see if they could help. Nothing they did made much of a difference. I also wasn’t happy with their email set up. I kept getting strange email certification notices. Not good. I was also plagued with 500 errors with no explanation from eukHost as to why I was getting them. After a few months of the site getting worse, I decided to move. I did a *lot* of homework, comparing providers, and ended up choosing TSOHost. TSOHost were incredible. They chatted to me answering all of my questions about their service for about an hour. When I bought the package, I had access to my account and webspace almost instantly. I used a code that I found online to get 10% off the bill and bought their Professional cPanel Hosting. Less than £45 for 10GB of webspace, 150GB of monthly bandwidth and unlimited MySQL databases! They even gave me a free webname. The true test, though, was still to come. I downloaded my files and the database from the old site and moved it all over to the new one. I then changed the nameservers over to the new host. I had to tweak some theme settings to make it all work and then it was good to go. Holy macaroni. The difference was immediate and amazing. The site loaded superfast. Admin pages loaded in a second. I could edit, write pages and change settings with ease. It was a dream come true. If you’re thinking of hosting your own wordpress blog, or if you’re looking for a new host for an existing site, I wholeheartedly recommend TSOHost. Whether it’s Linux or Cloud hosting, it’s a bloody dream. Click here to see the TSOHost website. Register with TSOHost using the code LftP10 and get 10% off!